Enter your info for 3 valuable gifts to support you, including what to do TODAY to protect your heart. Don't miss these valuable bonuses! Imagine the Thanksgiving table this year without you – or missing your favorite aunt or cousin… For the price of a tank of gas, this book may literally save your life, or the life of someone you love. PLUS you get some AMAZING bonuses. BONUS #1: The Women’s “Heart Health by the Clock” Guide: This guide breaks down what you can do within the 24 hour period of TODAY. Your heart, brains, gut and genes interact in a complex web of hormonal communication, energy use (and storage), and inflammatory and anti-inflammatory responses. The tips provided here help facilitate the optimal functioning of these systems over the course of one day, keeping you fit, energized, and rested. BONUS #2: The Pantry Makeover: There’s TOO many mixed messages out there. It’s time to purge your pantry of “foods” that don’t support you and have a SHOPPING list of what you really need. This is a simple list to print and use! BONUS #3: An important, valuable 6-minute Welcome Video on how to prevent the #1 killer of women! WHY Buy this book? In the United States today, heart disease kills more women than cancer, diabetes, and stroke. Although one in four women is affected by heart disease, when it comes to diagnosis and treatment, modern medicine simply does not understand the female heart. That’s about to change! Did you know that heart disease still is still the #1 killer of women? It outpaces breast cancer, diabetes and stroke COMBINED. Heart attacks among men are declining, but for women they are steadily rising. Women are twice as likely as men to die within few weeks of suffering a heart attack. Women between the ages of 40 and 51 are up to FOUR times more likely to die from heart bypass surgery than men of the same age. So you’ve heard the bad news. Here’s the good news: While you may have been neglecting your health for decades, there is still so much that you can do to create a strong, healthy BODY. I have laid out a PLAN in this book that begins with a powerful and simple personal assessment. You will gain an understanding of where you are at, literally. Then what follows is an individual, personalized heart solution. Yes – from a book. Obviously a book is still an investment. So I’ve added a few extra incentives to entice you into purchasing this book and taking that next step – and those will add even MORE value and help you start your journey immediately. DR. MARK MENOLASCINO is the Medical Director of the Meno Clinic Center for Functional Medicine, located in Jackson Hole, Wyoming. 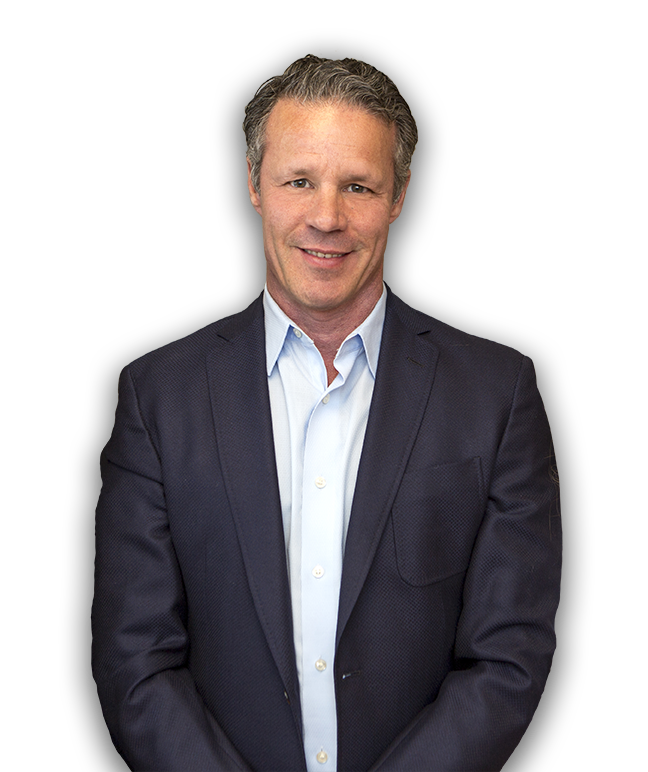 He is Board Certified as an Internal Medicine Specialist, Integrative Holistic Medicine, Advanced Hormone Management and Anti-Aging Medicine and is a Certified Functional Medicine Practitioner. He additionally has a Master’s Degree in Pharmacology and Immunology assisting with heart, mood, and dementia clinical trials and was part of the Heart Disease Reversal Team with Dr. Dean Ornish. In 1982, a groundbreaking study was performed to establish whether or not there was a link between cholesterol and heart disease. It was called The Multiple Risk Factor Intervention Trial (MRFIT). Aptly named as it involved 12,000 men and zero women. This huge oversight in the medical community led doctors to regularly apply those findings to women, but as we now recognize, women present different symptoms of heart disease. Men and women are different. Modern medicine swoops in to rescue you from your symptoms, but it fails at prevention. Perhaps some prefer the knight in shining armor coming to save them, but for those who take the time to learn what they can do themselves to prevent disease, they are empowered. And it is they who also recognize that shining armor is more about appearance than actual protection. What’s at the heart of the problem is left unaddressed in the second scenario. If you can address the root cause, not only should those symptoms go away, but you may prevent future symptoms from exhibiting. Dr. Mark Menolascino is one of the very few physicians that is Board Certified as an Internal Medicine Specialist, Board Certified in Holistic Medicine as well as Board Certificated in Advanced Hormone Management and Anti-Aging Medicine, so unlike other books on this topic, THIS book comes in from ALL angles. In Parts 1 and 2 of this book, he addresses the decades of mistreating women’s heart conditions, hushes those murmurs that are long standing myths, teaches the role inflammation plays, and expands the scope of view to the genes, brain, and gut, as well as the heart. And finally, he looks at how you can heal your hormones. 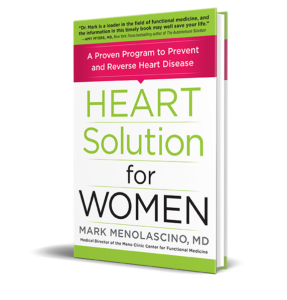 The techniques laid out in my new book: Heart Solution for Women: A Proven Program to Prevent and Reverse Heart Disease are possibly some of the most important ever published.